Huawei is expected to take over Apple in global market share by this year or the next. The Mate 10 family will be supposedly a big part of this prestigious rise. And Huawei is betting all its money on this new shiny hardware. 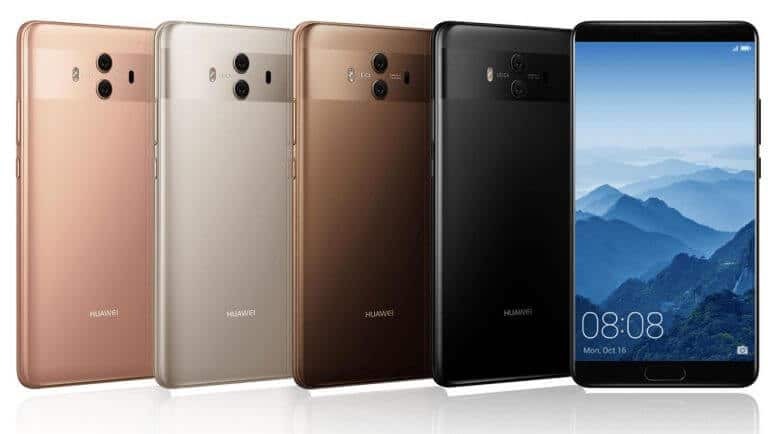 The company has finally revealed the two marquee flagships of this year officially at an event in Munich. However, this year Huawei brought with it three handsets. The Mate 10 of course, the Mate 10 Pro and the Porsche Design Mate 10. With all these three products in one place, the spec sheet can get really confusing. But we’ll clean it up for you a bit. We’ll lay down the spec sheet separately so you can compare them easily. You’ll be surprised to know that the Mate 10 is probably even better off in some areas like screen resolution compared to the Mate 10 Pro. But, for the most part, the Mate 10 and Mate 10 Pro are similar. 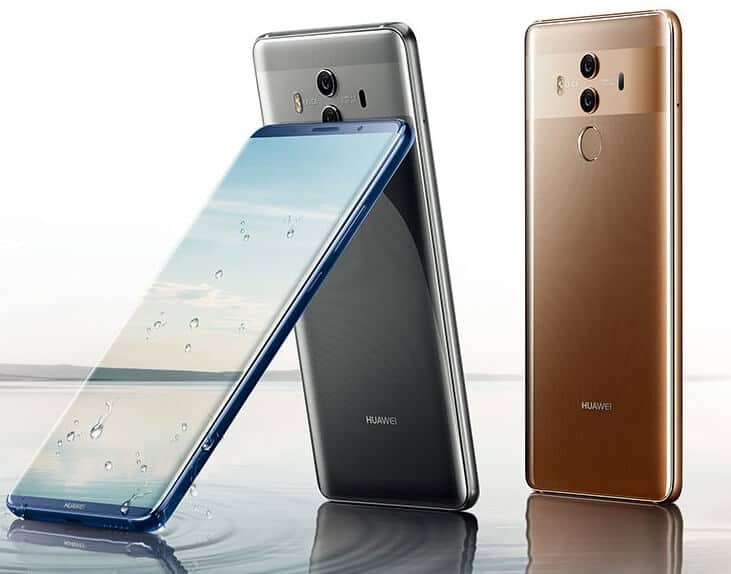 Huawei finally enters the big league with its smudgy and glossy glass-metal design. Both the two biological twins are plated with a curved back-plated with glass. The back also has an interesting stripe of colour, a bit like the panda black Pixel 2 XL. Ther are the two Leica-branded shooters stacked over each other as well. The Mate 10 Pro comes with IP67 as compared to the IP 53 rating on the Mate 10. The real estate on the front is dominated by thin bezel displays. In the case of the Mate 10, it is a 16:9 aspect ratio panel beneath which sits a fingerprint reader. The Mate 10 Pro says Adios to the 16:9 aspect ratio and embraces the full screen that is trending this year. All the three Mates run on the Huawei Kirin 970 chipsets clocked at 2.4 GHz built on the 10nm process. It is accompanied by the Mali-G72 GPU and a dedicated NPU (neural processing unit). The Mate 10 is equipped with 4 GB of RAM while the Mate 10 Pro has an option to choose from a 4 GB/6 GB variant. The Porsche Edition, on the other hand, starts with 6 GB RAM. The rear duo of sensors co-developed by Leica is a 12 MP RGB + 20 MP monochrome module that enhances the depth of field and helps low-light photography. Remarkably, both sensors have f/1.6 aperture, the widest aperture in any phone ever. But, the front shooter is an 8 MP shooter with an f/2.0 aperture. Of course, this is all on paper, we’ll see the actual results when the phone is tested in real water. 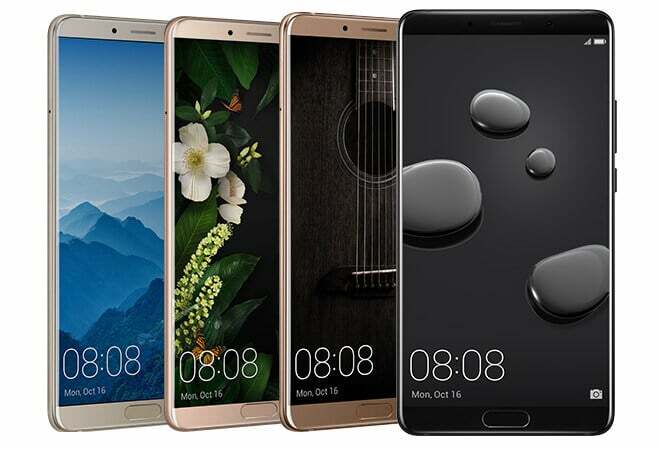 The similarities continue in the software department as Huawei has introduced Android Oreo uncharacteristically. It is only the second non-Google OEM to do so after Sony. The Android Oreo is mixed along with EMUI 8.0. Huawei has gone to great lengths to distinguish EMUI as an AI-based skin. At times even mocking Apple for that. Huawei expects the 4,000 mAh juice packs in the Mate 10/10 Pro to last you a day. The brand also took the time to introduce a SuperCharge tech. According to Huawei, this fast-charge technology can provide “a whole day’s use with a single 20-minute charge.” These batteries are safety-certified by TÜV Rheinland – a well-known German corporation. Most differences like the body size and screen size of the variants is negligible. What is not negligible is the lack of a 3.5 mm headphone jack on the bigger variants. Also, the screen-resolution is a downgrade as the Mate 10 has a 5.9-inch 1440p (2560×1440) panel. The 2 bigger brothers have a 6.0 inch 2160×1080 OLED panel. Apart from that the Mate 10 comes in 64 GB only storage, the Mate 10 Pro comes in just 128 GB storage, the Porsche Design comes in 256 GB. Moreover, the Mate 10 also has a micro SD card slot. The bigger siblings are denied this luxury for some reason. The Mate 10/10 Pro boasts of an on-chip AI that promises better app loading times, better standby times and superior image recognition. 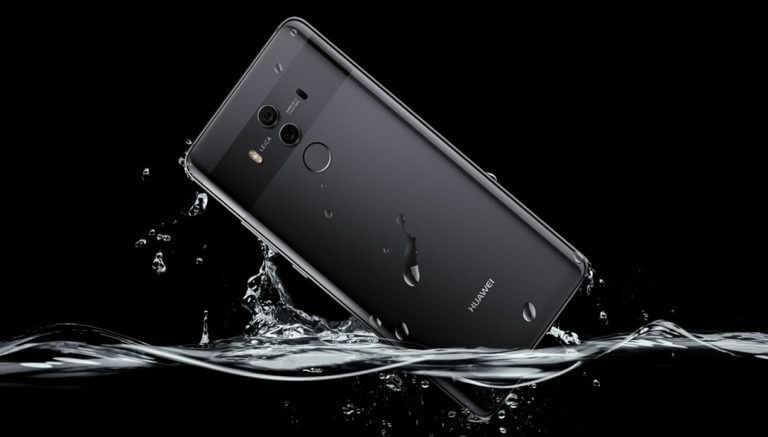 Huawei says the NPU will make sure that your device is zippy even after one year of strenuous use. The camera possesses a new scene detection feature and selects optimal settings for any given snap in real time. It also translates text, voice, and images in 50+ languages. We were able to sniff that Huawei would introduce a DeX-like feature. However, we didn’t know it would be even better. All you need is a wire to connect a DisplayPort compatible monitor to the phone via USB Type-C. It is such a useful feature, it almost seems like a no-brainer. 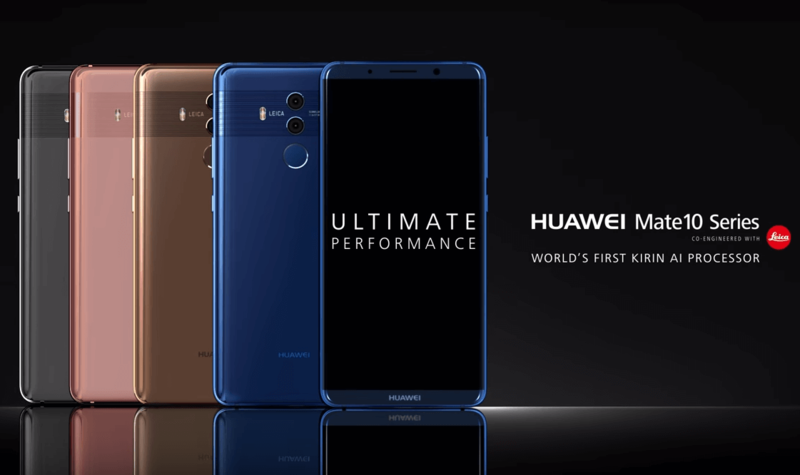 The Huawei Mate 10 Pro will soon sell in 24 countries including Germany, Italy, France and Singapore priced 799 Euros (roughly Rs 61,000). Finally, the Porsche Design Mate 10 will have a jaw-dropping price of 1395 Euros (roughly Rs 1,06,6100). We don’t have any official info for India as of now. Credits for below table go to XDA.